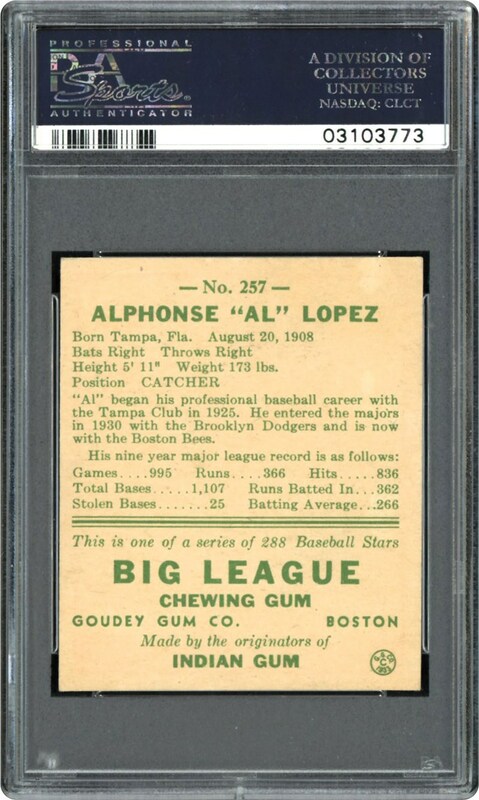 Synonymous with his winning ways is the championship caliber of this sensational PSA NM/MT 8 cardboard treasure that stands as one of six 1938 Goudey Lopez examples as the finest of its kind! The headliner attributes for this "rare for the grade" offering is the sparkling hued image and virtually "dead-on" 50/50 centering. 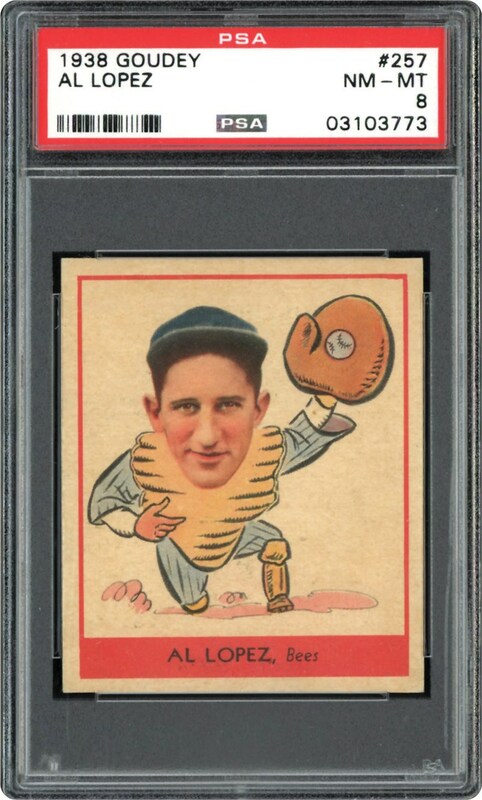 Simply stated, high grade 1938 Goudey's are few and far between, let alone one that represents a Cooperstown Inductee and shares the honor of being the premier example on the planet!